As a vegan, taking on a new sport/discipline requires research. With the help of the Veggie Guide team, we have put together a simple guide to vegan climbing products. 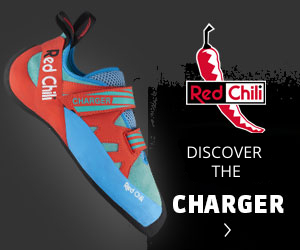 Most climbers need a comfy rock shoe in their lives. When choosing an all-day all-rounder, pure performance comes second to comfort; but they've still got to do the job. Here we test several of the more relaxed, less technical shoes on the market. Jack Geldard takes the Evolv Luchadors inside and out in his quest to find the ultimate rock shoe. Are these the shoes for you? Sensitive. Aggressive. Affordable. The X1 offers more sensitivity and "feel" than any shoe on the market without breaking the bank. The UKC team recently returned from the annual gear-fest that is OutDoor Friedrichshafen. Below are some video interviews with brand representatives, who talked us through the key features of their latest creations in rock shoes and footwear. New for this year from the Chris Sharma signiture series is the Shaman 2. Superb high performance rockshoe offering downturned precision and power for all your projects indoors and out.